One of the most common questions we get asked here at Hero Care Packages is: what are the military care package restrictions, and how to I make sure I'm not breaking them? We decided to write this post to give you all of the information you need to make sure you (and your service member) don't get in hot water over sending a care package to a military location, and updated it with the latest news in 2019 to let you send a care package with ease! 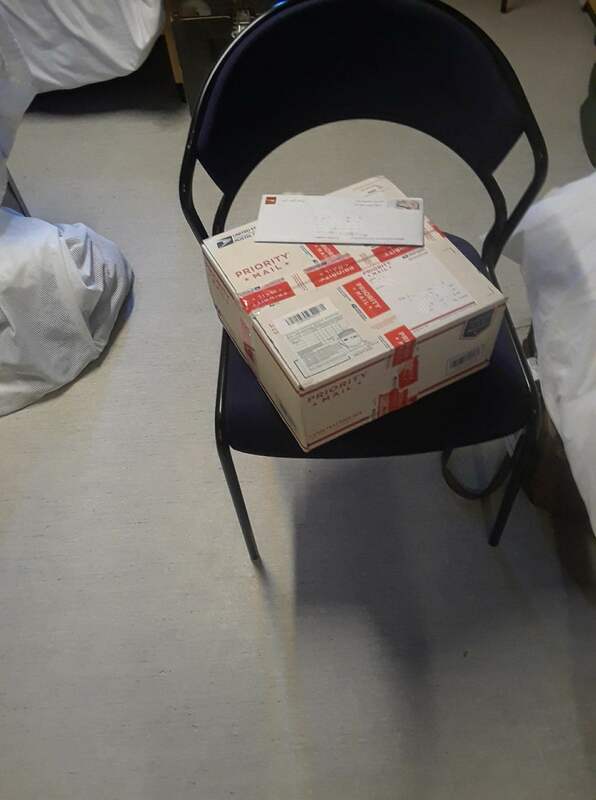 If you're looking for basics about sending a care package, check out one of our first blog posts on Mailing a Military Care Package, which should help you through all the nuts and bolts of addressing and sending the package. We won't dwell on it here, since we are going to focus on restrictions for military care packages. First, know what you can’t send based on postal restrictions to an Army/Air Post Office (APO)/Fleet Post Office (FPO)/Diplomatic Post Office (DPO). If you want to know the specific items that you cannot send to the APO/FPO/DPO zip code for your service member, you can go to this link and enter the five-digit zip code of your service member for a list of what items cannot be sent to your service member. For a complete list of restricted items since occasionally there will be additional prohibitions to specific countries, simply download the latest postal bulletin and go to the section entitled “Other Information: Overseas Military/Diplomatic Mail.” You will find a list of the specific restrictions for the APO/FPO/DPO zip code of your service member, followed by the complete restrictions. For example, in Postal Bulletin 22493 (May 10, 2018), this section begins on page 32. BONUS TIP: think about where the package is headed. Some items might not be restricted or prohibited, but you probably shouldn’t send them to particular destinations. For example, it might be okay to send chocolate or electronic devices to a colder country like Norway but definitely not to a desert area like Afghanistan. - No clothing with curse words on it. - Middle East: No pork products; for women, no clothing that shows your stomach or knees. Once you have cleared the contents of the box with the post office restrictions and military restrictions, you're in the home stretch. The only other requirement is to properly address the customs form. Any customs form (PS Form 2976, PS Form 2976-A, and PS Form 2976-B) works, but don’t make your life more challenging than necessary. Just use the easiest form, PS Form 2976 (CN-22), because there are fewer sections to fill out. You’ll see the customs forms as you’re standing in line at the post office, and the form itself goes to the left of the address label on the package. Label what is in the care package, but don't worry about being too specific. You don't need to write what each piece of candy is, but you should say "Snacks" with an approximate weight, or "books" as another section. What you put here matters for two reasons: first, if you're shipping priority mail (which we recommend so it isn't sent via boat) your care package is insured for up to $50, and that is calculated off of this label. Second, it is used to ensure you are in compliance with the above restrictions. So, as long as you're complying with the rules, you'll be fine! BONUS TIP: Even if you know the location of the country where your service member is, the country box on the customs form should always be the United States. The USPS Military Mail: FAQ has a small envelope graphic to illustrate how to address an envelope and how NOT to address an envelope. If all of this seems daunting a few things can help. First, look into options that don’t entail a trip to post office. The USPS has some convenient services that can assist you as you prepare a military care package, including ordering free flat-rate priority mail boxes (although as noted in a previous post, this may not always be the cheapest route), printing shipping and postage labels at home through Click-N-Ship, and scheduling pick-ups at no extra cost from your home. If you opt to use Click-N-Ship, you will receive specific restrictions for the five-digit military post office zip code to which you’re shipping, which makes it that much easier to send a care package to your service member! And if you’re more of a visual person, the USPS has a short two-minute video on the basics of sending military mail. The USPS also has a FAQ page regarding military mail, which includes much of the information stated above as well as mail transit times to give you an idea of when your package may arrive. For example, a package sent from Virginia to Spain might take two weeks to arrive. If you have questions on diplomatic mail, you can email DPO-Answerperson@state.gov. Finally, we have lots of options to send pre-assembled care packages, and always guarantee that our care packages are in compliance with military restrictions. Mailing a care package on your own to a loved one or family friend overseas can seem overwhelming at first, but it doesn’t need to be! All you have to do is pick the right customs form and do a quick check online for any specific restrictions to the APO/FPO/DPO zip code for your service member. Then you’re set, giving you more time to focus on the personal elements of the package for your loved one! Any other inside tips on military care package restrictions? Great care package stories? Let us know in the comments below, or email us with questions at customerservice@herocarepackages.com !